My family and I couldn’t stop turning to each other and saying that the first evening of our October vacation as we sat around an umbrella table on our rented beach cottage’s wooden deck, 20 feet from the sand. We sipped homemade mai tais made of canned Hawaiian Sun lilikoi drink purchased at the Foodland supermarket just up the road. Topping the cocktails were splashes of light rum and black rum, garnished with a wedge of fresh pineapple, a slice of lime and — we found them in our perfect beach cottage’s kitchen cupboard — little paper umbrellas. Travel can be about exploring other cultures, and that can be a richly rewarding reason to go. Travel can be about adventure, hiking or paddling in some exotic setting. It can be about trying new foods, or sipping wines from a famous vineyard. And sometimes travel can be about teaming up with your daughter and her boyfriend to finish a challenging 1,000-piece jigsaw puzzle before you have to pack up and go home. That last one was a key part of our vacation, which was, in the bigger picture, all about reconnecting with family. 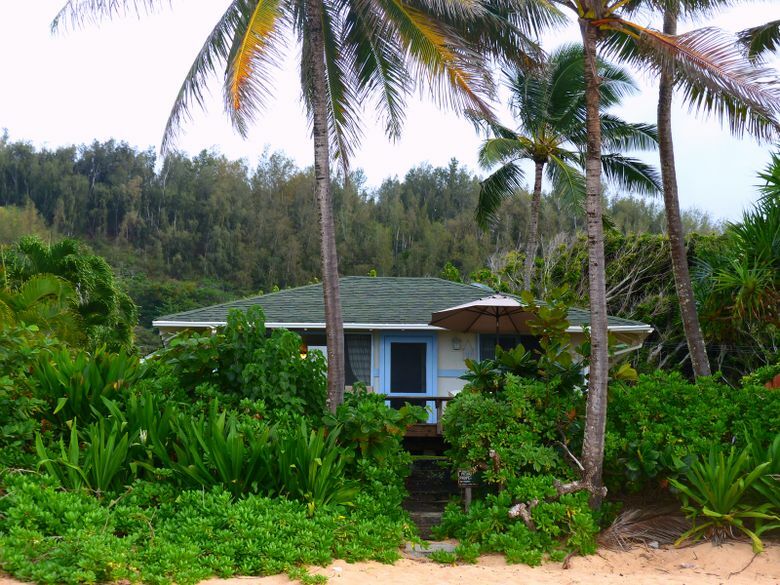 It happened in a classic Hawaiian rental cottage on one of the most beautiful beaches anywhere, and I highly recommend the experience. Here are some thoughts about what made this getaway among the best ever, and how to do it yourself. My Seattle-based daughter and her partner, both 25, had been traveling and working in Australia and New Zealand for 14 months. My wife and I missed them, they felt ready to come home, and meeting them on their way back, in Hawaii, seemed like a dandy rendezvous. They had just completed a winter of work at a New Zealand ski area. The idea of a week on a tropical beach suited them fine. 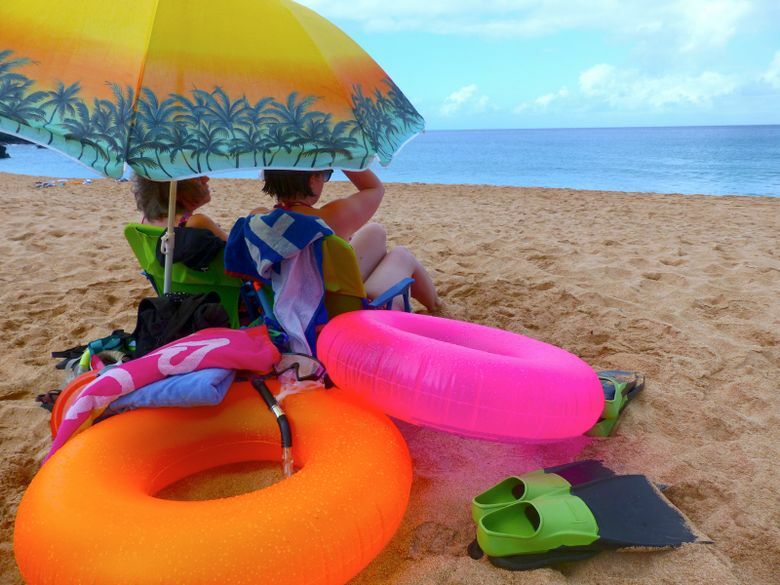 The North Shore of Oahu was our pick, for relatively easy access to Honolulu International Airport while retaining a low-key, surfer-culture vibe. I spent hours combing vacation-rental websites. I finally zeroed in on a two-bedroom beach cottage, of maybe 1950s vintage, on a famous surfing beach. VRBO.com listed it for about $300 a night, rented by the week. I usually spend less on lodging. But I don’t usually stay in beachfront accommodations with the ocean roaring all night outside my open window. And in Hawaii it’s easy to spend much more. This place was a find. Sweetening the deal: I knew from previous visits that a pleasant 3.5-mile bike path parallels the main road along the North Shore, including where this rental was situated. One of my good ideas before leaving home: I went online and found a bike-rental outfit that would deliver bicycles to our lodging. I signed up to have bikes delivered the morning after our arrival, for five days of use. • First, don’t overplan. Give yourself at least a week, healing you of hometown stresses and letting you all get reacquainted — whether you’re strolling the beach with a cup of coffee at sunrise, sipping a Kona Brewing longneck over a card game on the lanai, or dipping toes in the surf as the full moon rises over the Pacific (yes, check the moon schedule before you book!). • Enjoy those bikes. 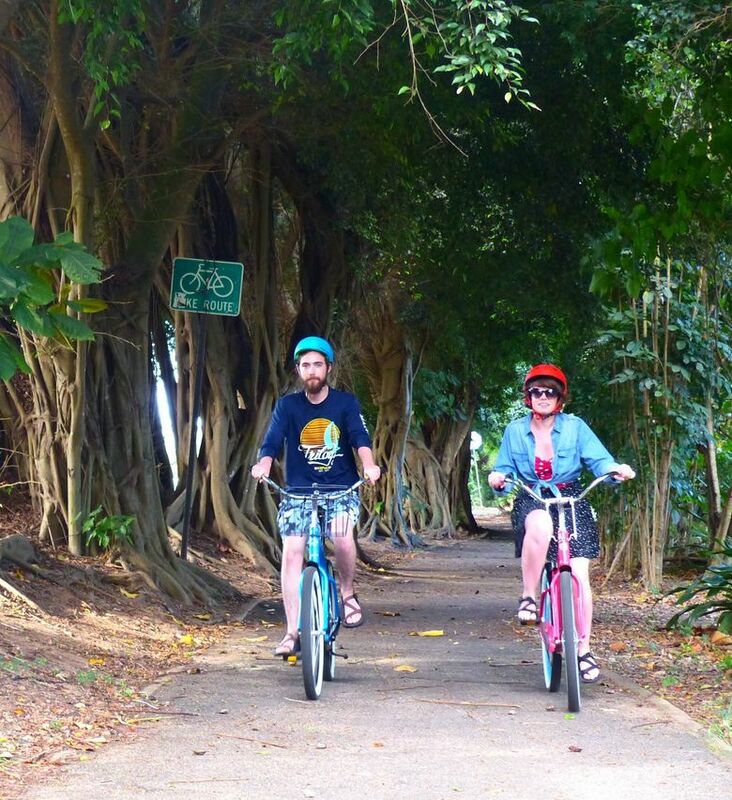 We parked the rental car for most of the week and biked to Shark’s Cove snorkeling beach, or to the supermarket, or to get shave ice. The bike delivery folks were helpful, friendly and punctual, and our bikes came with locks, helmets and removable baskets that could be used while shopping as well as for toting groceries home (northshorebikerentals.com). • Eat well. Rent a place with a good outdoor grill. (Our cottage had a choice of propane or charcoal.) Sometimes you’ll see fishermen along the road with an ice chest of fresh ahi for sale. And there’s a farmers market in Waimea Valley on Thursday afternoons (farmloversmarkets.com/haleiwa-farmers-market) where you can stock up on local papaya, bananas and dragon fruit, a hot-pink-skinned fruit that tastes like a cross between kiwi and watermelon. We also biked to breakfast at the famous Ted’s Bakery, the only restaurant in the world where I have ordered fried Spam (with fried rice and eggs). We returned to the cottage with one of Ted’s trademark Chocolate Haupia pies, with dreamy-creamy layers of chocolate and coconut ($12.88, tedsbakery.com). • Let serendipity work its magic. When we saw a green coconut freshly dropped from a palm in front of our cottage, I acted on a hunch and went to search the cottage’s tool shed. Sure enough, there was a machete. Every Hawaiian gardener’s “go-to” tool, it was just the thing for lopping the top off a coconut so we could sip the cool, refreshing water inside. • Make your own music as the sun goes down. A ukulele is easy to carry with luggage, my daughter found. Or buy one in Honolulu, where locals make some of the world’s finest handcrafted ukes (see koaloha.com or kamakahawaii.com). • Bring your favorite card games, which pack easily. We re-learned how to play Uno, which was on the game shelf in our cottage. Mostly, just relax and get to know yourselves again. I’ve traveled to many wonderful places and had excellent adventures. But this was the best pure vacation I’ve had in years. I used HomeAway.com and its partner, VRBO.com. They’re very similar, but I prefer VRBO’s filter setup for ease of use — so you can easily specify a beachfront location, the maximum rent you want to pay, and include amenities such as an outdoor grill, internet access, etc. Beware that both sites include a booking service fee that isn’t clearly listed, and almost all rentals add cleaning fees (sometimes substantial) on top of the listed rental price. The service fee is, on average, about 6 percent of the rental amount, excluding refundable deposits or taxes. When you book and pay through these two websites, you get protection of your full rental payment against listing fraud, phishing, “significant” misrepresentation and more. I always feel most comfortable if the property owner or manager responds quickly to queries. I like to speak to them by phone so I get a clear feeling that they are who they say they are. I’ve had better luck with VRBO and HomeAway rentals than with Airbnb. With Airbnb, I’ve seen more misrepresentation by landlords — such as the Kauai rental that claimed to be a peaceful riverside walk from the ocean but turned out to require hiking the narrow shoulder of a busy highway. With any online offering, carefully inspect photos and read reviews (recent reviews are best). Try to get a street address so you can go to Google Street View and see the neighborhood. If anything feels fishy, ask the landlord for references and make more calls. 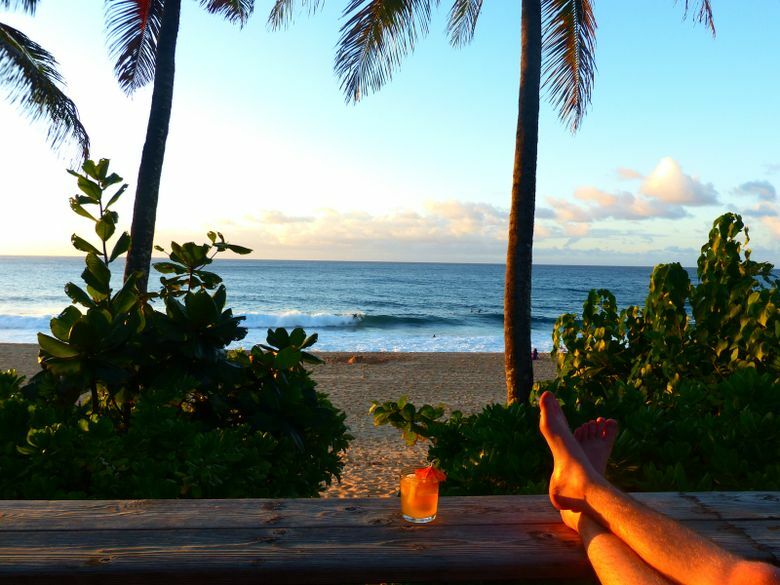 The laid-back town of Haleiwa (“haw-lay-EE-va”) is the focal point of Oahu’s North Shore community. It’s about 40 minutes, via the H2 freeway and Highway 99, from Honolulu International Airport. Or take the less direct, slower and much more scenic Highway 83 (Kamehameha Highway) along the island’s windward shore through Kaneohe and Kahuku (allow 90 minutes or more). Every second Saturday, 3-7 p.m., is Art Walk evening in Haleiwa. Galleries and shops stay open late and you can meet local artists. See gonorthshore.org/haleiwa-art-walk. 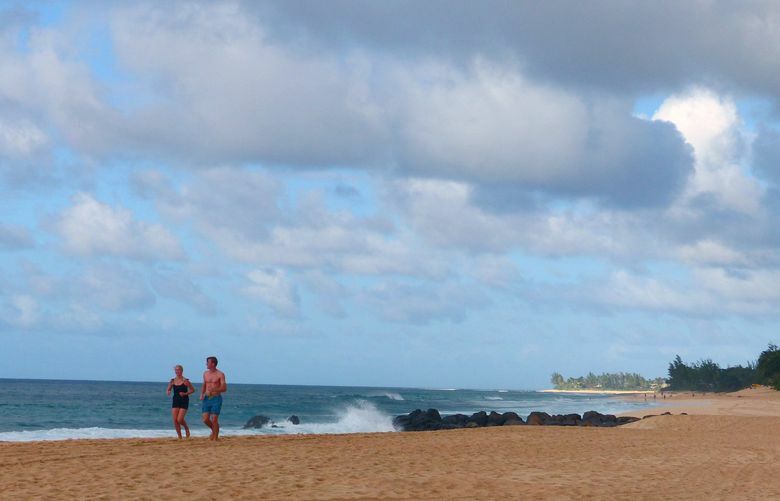 Take a 90-minute walking tour of historic Haleiwa. Tour by appointment (at least 48 hours notice needed): $10. Visit Haleiwa Shingon Mission, Lili’uokalani Church, Waialua Court House and more. See gonorthshore.org/history-and-tours.